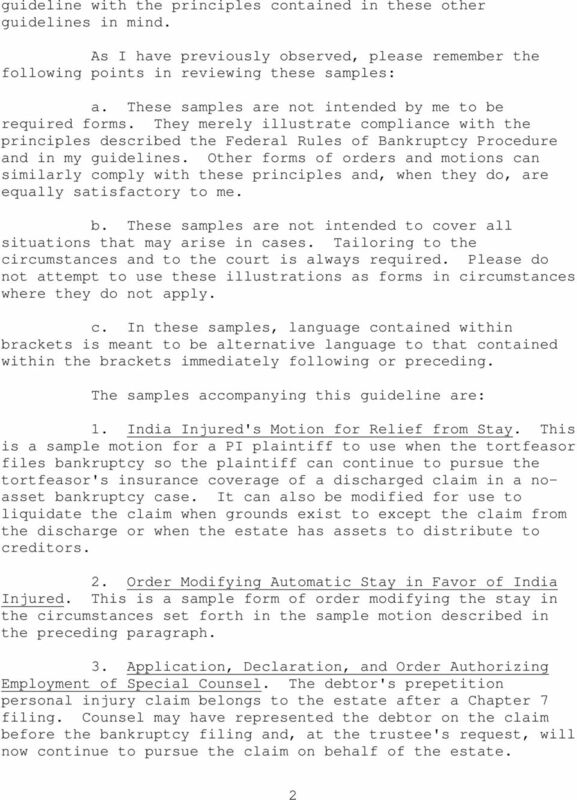 Download "PRACTICE GUIDELINES MEMORANDUM. 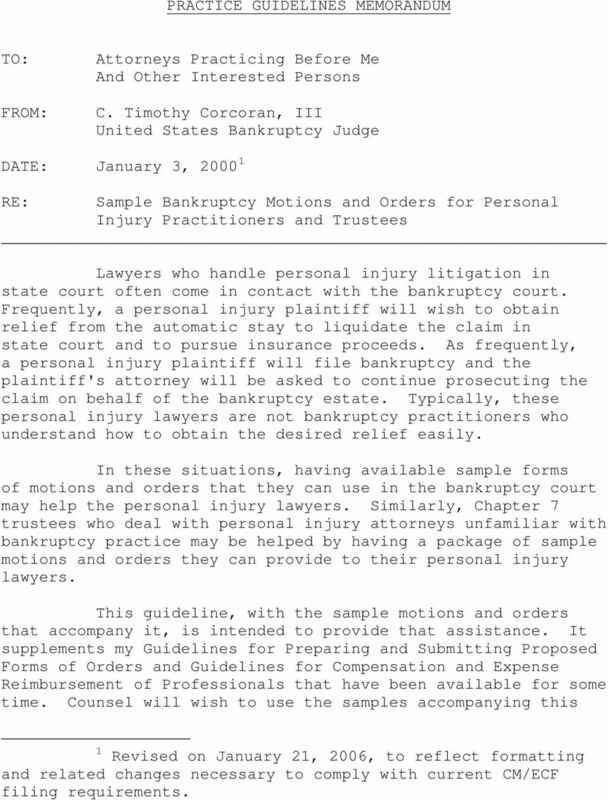 RE: Sample Bankruptcy Motions and Orders for Personal Injury Practitioners and Trustees"
1 PRACTICE GUIDELINES MEMORANDUM TO: FROM: Attorneys Practicing Before Me And Other Interested Persons C. Timothy Corcoran, III United States Bankruptcy Judge DATE: January 3, RE: Sample Bankruptcy Motions and Orders for Personal Injury Practitioners and Trustees Lawyers who handle personal injury litigation in state court often come in contact with the bankruptcy court. 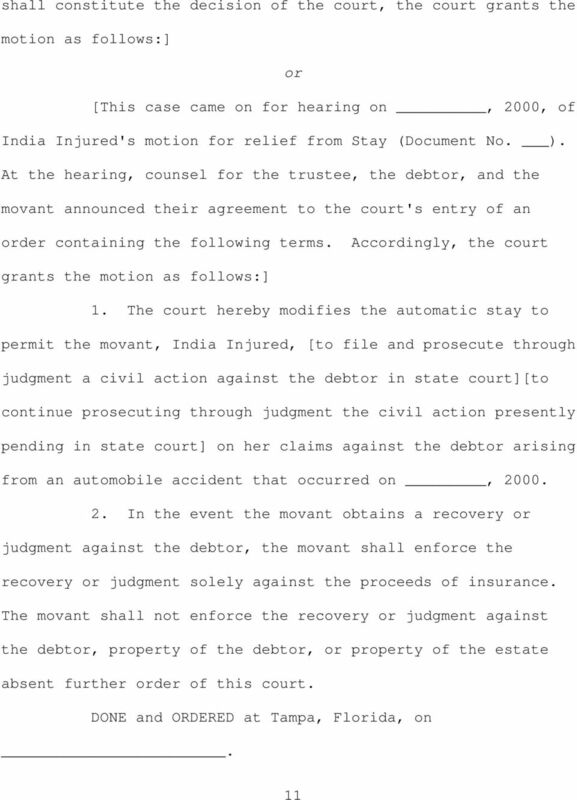 Frequently, a personal injury plaintiff will wish to obtain relief from the automatic stay to liquidate the claim in state court and to pursue insurance proceeds. 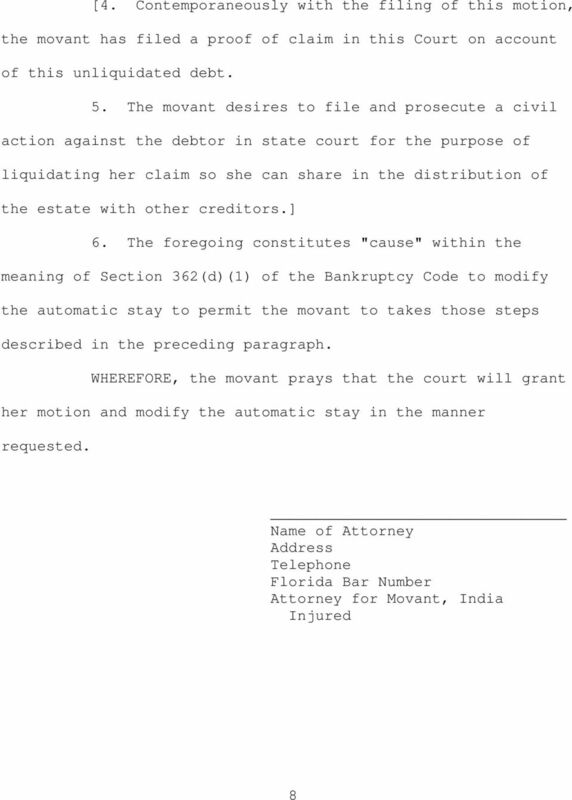 As frequently, a personal injury plaintiff will file bankruptcy and the plaintiff's attorney will be asked to continue prosecuting the claim on behalf of the bankruptcy estate. 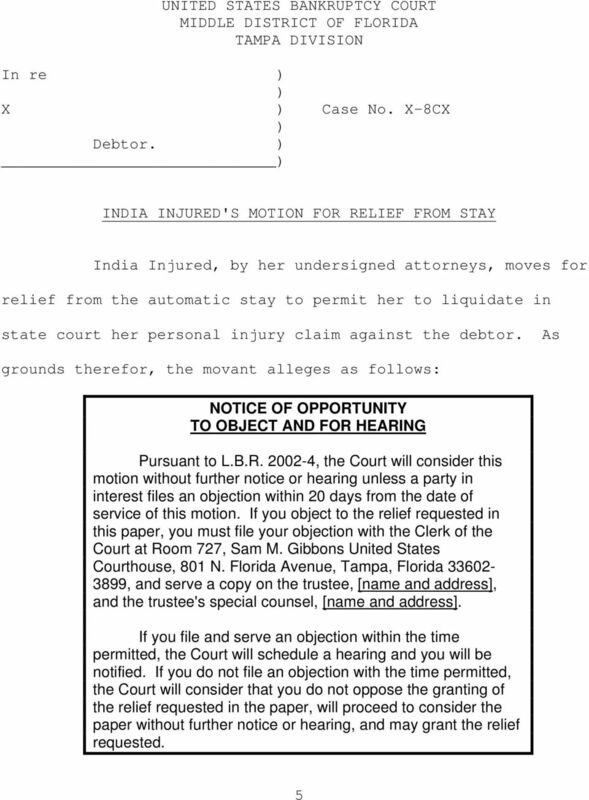 Typically, these personal injury lawyers are not bankruptcy practitioners who understand how to obtain the desired relief easily. 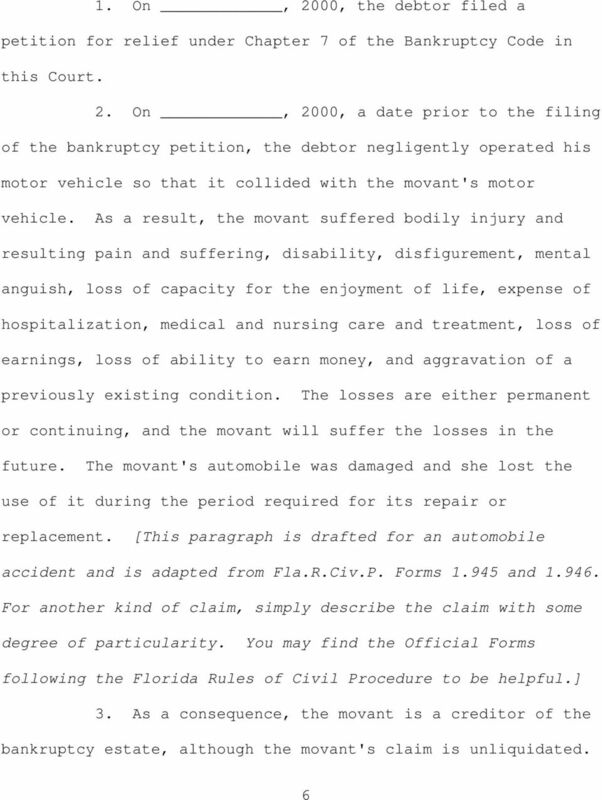 In these situations, having available sample forms of motions and orders that they can use in the bankruptcy court may help the personal injury lawyers. 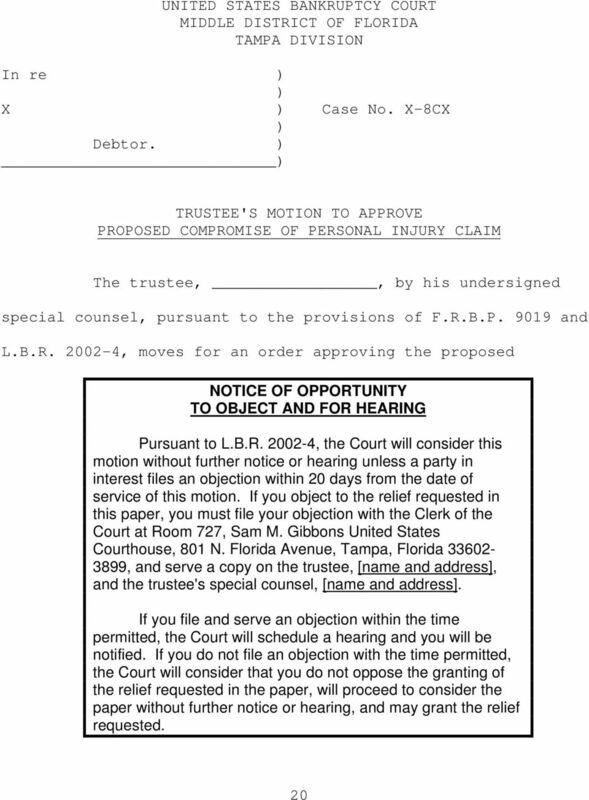 Similarly, Chapter 7 trustees who deal with personal injury attorneys unfamiliar with bankruptcy practice may be helped by having a package of sample motions and orders they can provide to their personal injury lawyers. 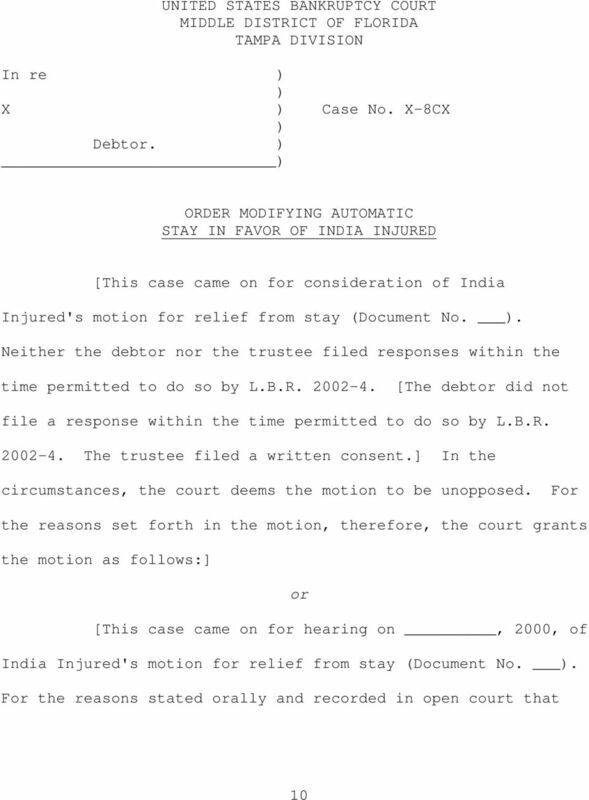 This guideline, with the sample motions and orders that accompany it, is intended to provide that assistance. 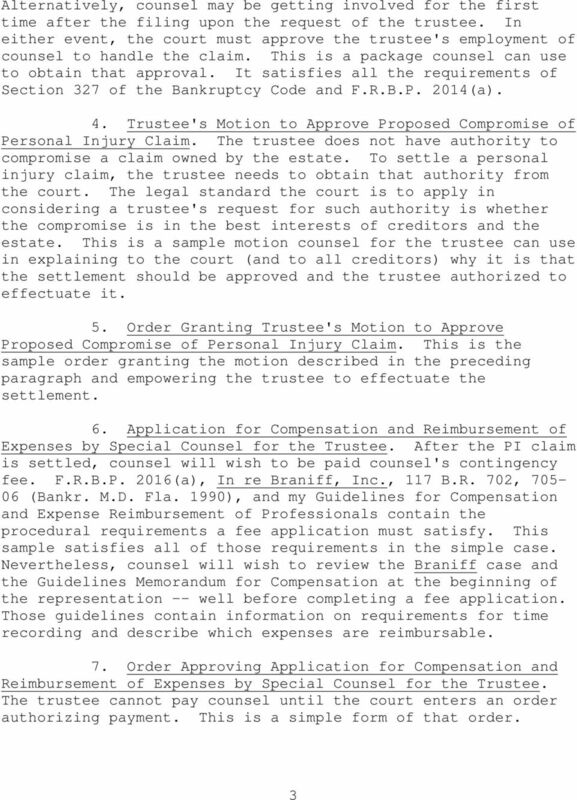 It supplements my Guidelines for Preparing and Submitting Proposed Forms of Orders and Guidelines for Compensation and Expense Reimbursement of Professionals that have been available for some time. 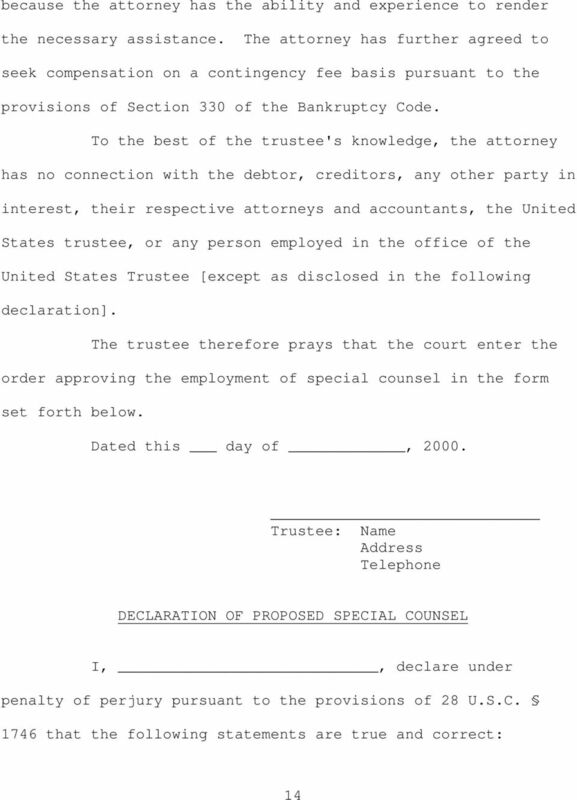 Counsel will wish to use the samples accompanying this 1 Revised on January 21, 2006, to reflect formatting and related changes necessary to comply with current CM/ECF filing requirements. 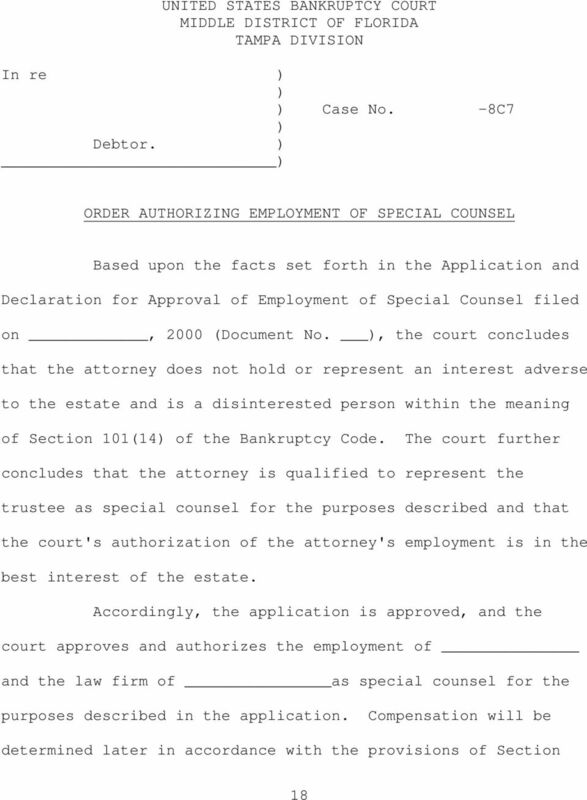 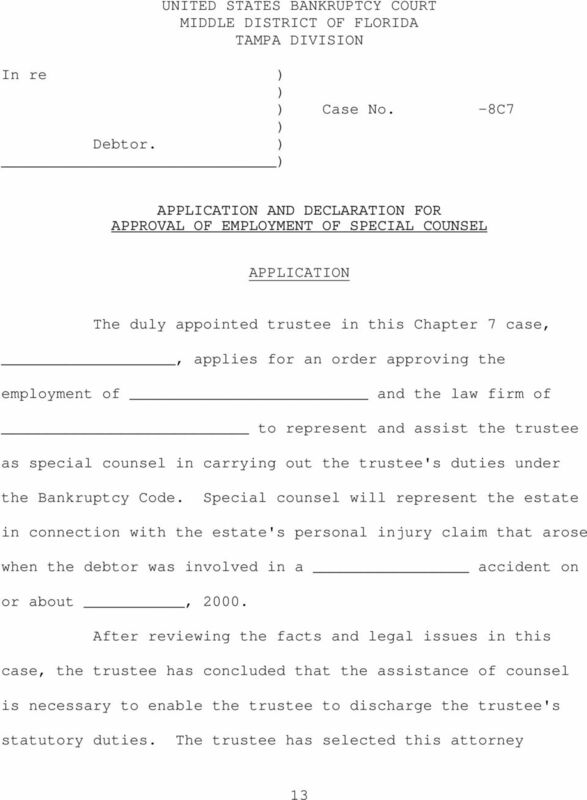 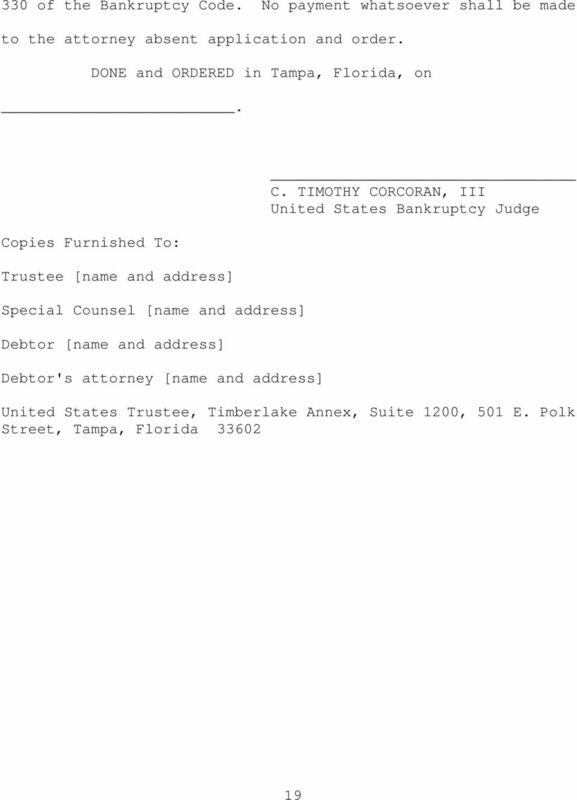 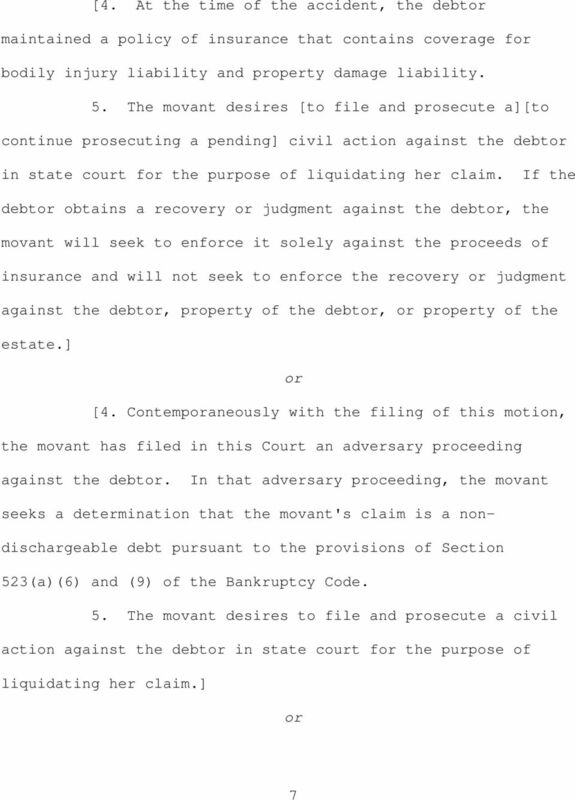 UNITED STATES BANKRUPTCY COURT MIDDLE DISTRICT OF GEORGIA MACON DIVISION IN RE: ) CHAPTER 7 ) CASE NO. 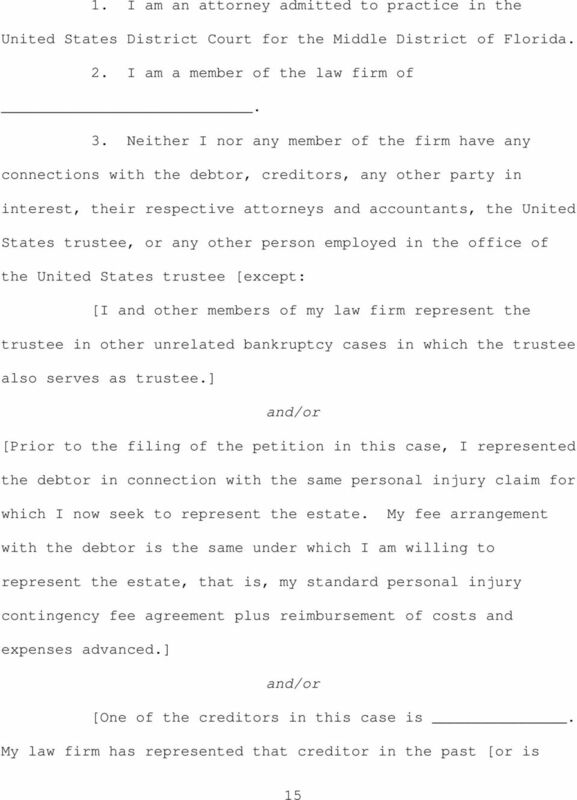 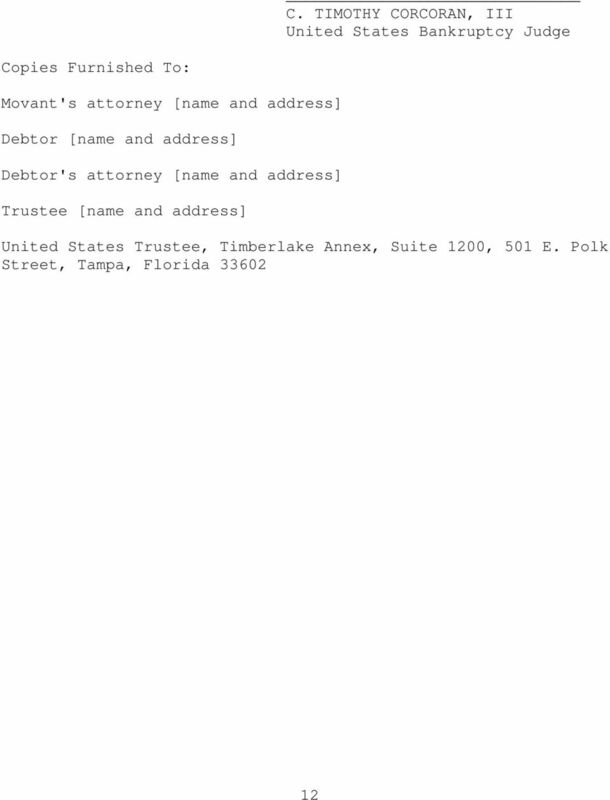 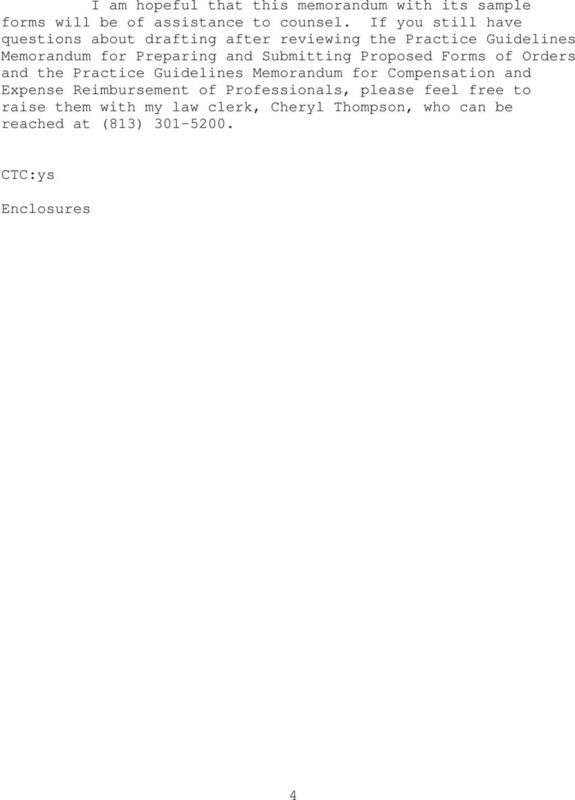 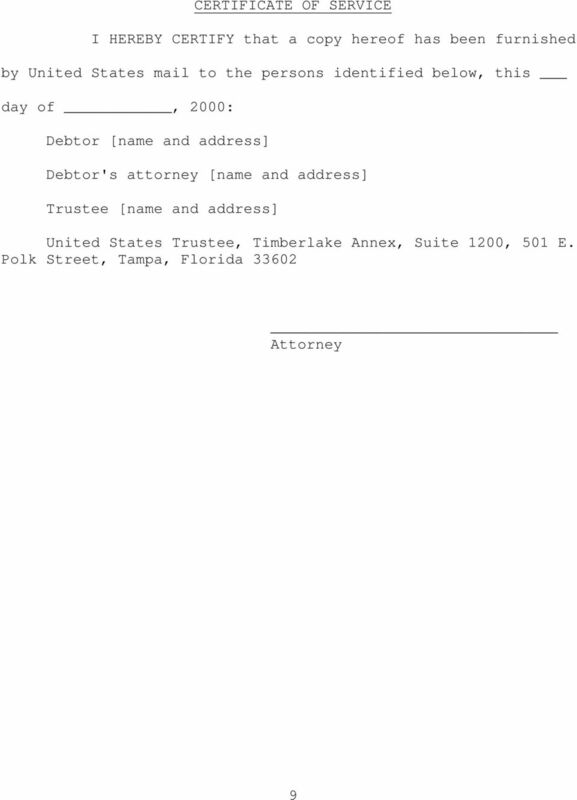 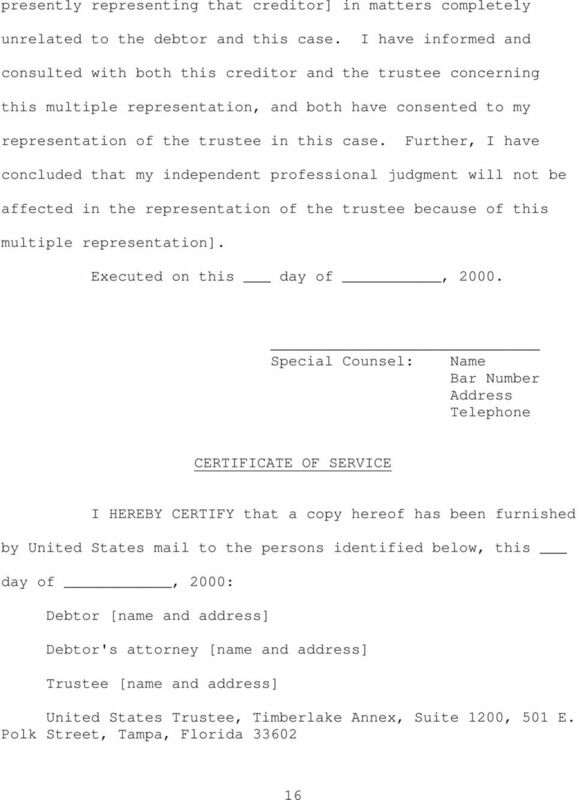 10-52808-JDW BOBBIE S. SMITH, ) ) DEBTOR.